I am live-blogging the First World War, posting about events 100 years after they happened. I am trying to communicate a sense of the war as a global conflict in which many countries and peoples took part. In doing so I am avoiding the excessive focus on the Western Front that dominates the war’s memory in the anglophone world. In many countries a national commemorative approach dominates remembrance of the Great War, with a focus on the sufferings endured by the forebears of the country’s people of today, often with references to their heroic sacrifices. A problem with that approach is that it obscures the true complexity of the conflict. 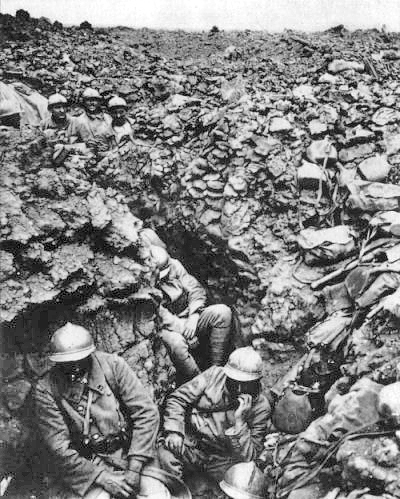 British people end up thinking that the war was all about the Somme, Australians think it was all about Gallipoli and the French see the war through the perspective of Verdun. These events were all important but they were just facets of this terrible disaster that befell Europe and spread its tentacles to the world. I hope that anyone who follows this blog will get some sense of the broader nature of the conflict. The chronological approach means that this blog is event-focussed rather than thematic. That imposes certain biases, notably a downplaying of the home fronts of the combatant nations. By virtue of a focus on macro events the named characters who appear in the story are almost entirely white men, as these were the people who ran armies and societies in the less enlightened past. If you have just stumbled onto the blog and are interested then you just follow events as they happen. If you want to see what has gone before then there is a monthly archive with links to the posts for each month. You can follow the blog by clicking on the Follow button. Or you could follow the Twitter account associated with this, @WW1Liveblog or like the blog’s Facebook page. Although long interested in history, I am not a professional historian. I live in Ireland, a country where the First World War occupies an ambiguous place in national memory. This may be linked to my detachment from the national commemoration approach to the Great War often seen elsewhere. Found your page today, and enjoy it very much. I noticed that you are doing is similar to what I am doing, but my focus is much narrower: Austria-Hungary with a particular emphasis on the Good Soldier Švejk and Jaroslav Hašek. I have my own web-page on Švejk, and also a Facebook-page that keeps a chronological list of events that has some relation to Švejk, be at on the front or in the hinterland. Thanks for the comment. Your own project sounds interesting… I have been meaning to read The Good Soldier Švejk for decades now and still have not got round to it. Maybe this is the push I need. Just found your blog and thrilled to have found it. My grandparents lived in Zagreb, Croatia and emigrated to Pennsylvania US in 1923. My grandfather and most of my family were coal miners for most of the next 50 years. We lived in a small coal town with many immigrants who would sit around our kitchen table and talk about the war. Of course as a young girl I didn’t listen closely enough and now wish I had:). Now I find the war fascinating (especially first hand memoirs and diaries). So I appreciate learning all I can from your blog! Very much appreciate the view you have taken! Hi Joanne, thanks for the comment. I don’t think I have any direct personal link to the First World War, though Irish people fighting in the British army back then tend not to get talked about so much in family histories. The memories of your grandparents about the war in a country that no longer existed after it must be fascinating.